When bad hair days slowly become bad hair weeks, then you know it’s time for a cut to reboot your hair’s healthy state. 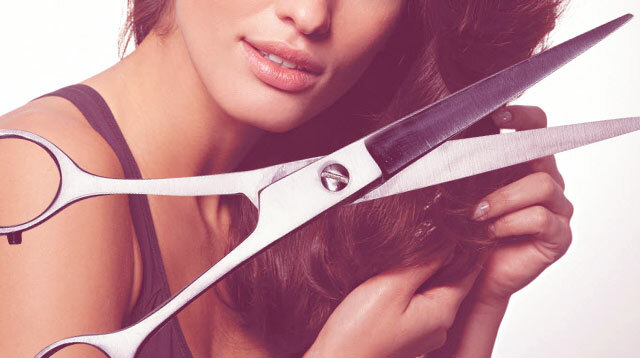 Read on to check if you have been experiencing any of these tell-tale signs that say it’s time for a snip! 1. It looks like a triangle. Gals with thick, wavy, or curly hair, read on: When your locks appear like they’re shaped like a pyramid, then you really need to see your stylist for reshaping. 2. You’re in a style rut. When you’re having a difficult time styling your hair (a.k.a, ponytails all day, er’day), then you’re probably bored with your hairstyle. Also, mermaid-length locks (reaching the waist) is hard to work with because at this point, your hair is pretty much lifeless. Translation: It’s time to see your stylist for a cut that’ll restore your tresses’ health. 3. Your hair is falling flat. Here’s a real struggle: You style your hair and work on adding volume to the roots for hours, only for your ’do to fall flat in under 60 minutes. The real reason this is happening? Your strands are already too heavy. Combat this (and bring back the bounce) by getting a one-inch snip or flattering layers. Too busy to hit the salon? Spritz on a sea salt spray to damp hair for added texture. 4. You see lackluster locks. You’ll know when it’s time to go for a chop when your tresses, especially the ends, look dull and lack shine. Over time and constant exposure to sunlight and styling products, your hair loses its vibrancy. Revamp your locks by chopping off the tips. Finish off the look by applying a few drops of shine spray to styled hair. For more signs that it's time to get a haircut, check out femalenetwork.com!